Primavera P6 is a popular software for planning and managing projects, regardless of the industry, whether it is Construction, Oil & Gas, Manufacturing, Automotive, or Aerospace and Defense. Each benefits a lot by using this software especially in regards to time, budget, and efficiency. Primavera P6 and similar software programs use .xer file extension. These files are crucial when it comes to planning projects because they save important data such as resources, tasks, timelines, materials and other necessary requirements for a certain project. The software will not be able to function properly when it comes to planning and tracking project progress if it is not for the .xer files. So, for a project to be completed efficiently and in a timely manner it would be of great use if everyone could open these .xer files. As we are all aware of the cost and complexity of Primavera P6, we know it is not possible for everyone to have a license. However, there are some third-party tools, or better said viewers, which allow you to open .xer files at a very small cost. Such tools make the .xer files accessible to a far wider range of project team members. Thus, they contribute tremendously to the transparency and visibility of the project, its progress, and activities. Among the most important benefits of these tools are the cost-cutting, time-saving and more efficient use of resources. That is why I decided to give an overview of the tools that have proved to be most closely adapted to Primavera P6, focusing on their key features and advantages. ScheduleReader is a cost-effective viewer designed for viewing .xer, xml and .xls project files. As I have previously written a comprehensive review of the viewer, I will only outline the main features here. ScheduleReader offers an overview of the project with Personalized Views and Custom Filtering. Speaking of custom, you can import custom layouts from .plf files and even make baseline comparisons from a few schedule versions. There is the option to navigate through Predecessors and Successors activities in order to be able to analyse the relations between them. 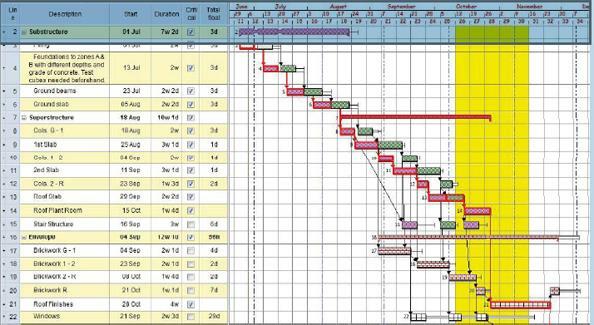 Another important feature is the Trace Logic view that can be used for comprehensive analysis as it presents selected components of the project schedule visually. Last but not least is the Progress Update feature that allows you to make feedback proposals for progress updates on assignments and activities to your responsible superiors. ScheduleReader offers an overview of the project with Personalized Views and Custom Filtering. 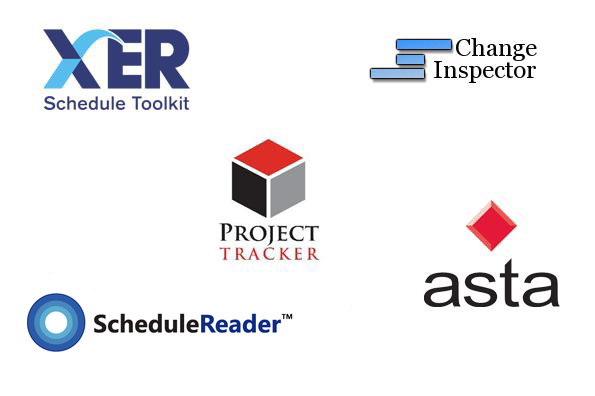 The XER Schedule Toolkit is a tool used for converting files created with Primavera P6, Asta Power Project, and Microsoft Project. It is easy to use and enables you to view and analyse the information in a setting you will be definitely familiar with – Microsoft Excel. The tool has been created with the purpose of improving the project planning process and contributing to the successful delivery of projects in regards to budget and time. 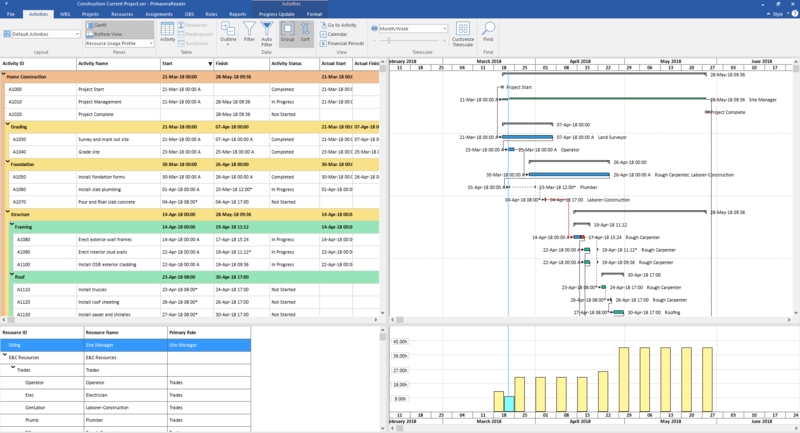 Some of the features that this tool offers are the data selection of any level, a versatile Gantt viewer, a schedule quality checker, a calendar viewer, a report on schedule forensics, a flexible dashboard generator, and resource and cost analysis tools. XER Schedule Toolkit is created with the purpose of improving the project planning process. 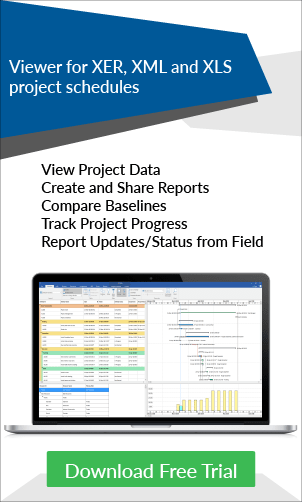 This tool allows you to import baselines and projects from Microsoft Project, Primavera P6, and Asta Power Project. Its main strengths are the creation of S Curves based on duration, cost or resource, which facilitate and improve the overview of a project’s progress; earned value analysis of the project; graphical dashboard reports which help you in the progress assessment; and project quality reports. Other useful features are the possibility to filter by Portfolio, Project and WBS, Resource and Activity code; then the possibility to create and save views of filtered curves. In addition, it provides you with a dynamic feedback of progress status at any point. 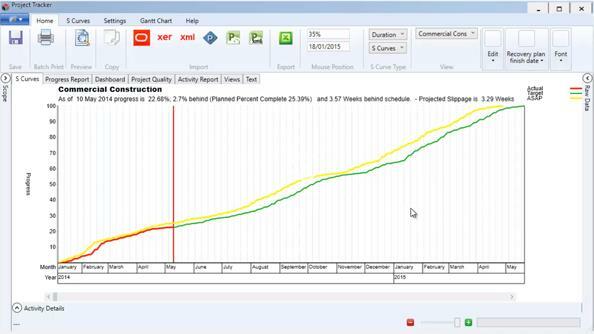 Project Tracker allows the creation of S Curves based on duration, cost or resource. Change Inspector is primarily a tool whose purpose is to serve as a solution for tracking schedule dates and documenting the delay analysis as its reports provide you with detailed and transparent analysis. The tool works with Primavera Contractor XER, P6 XML, and Microsoft Project files. Its filtering features are at the same time advanced but simple to use and offer many possibilities with its dynamic sorting and grouping. Change Inspector produces reports that enable you to locate the changes between two schedules and highlight the problem areas. Moreover, with this tool, you can create a dashboard where vital schedule information is displayed. You can even use the charts in reports to stakeholders as they simplify the schedule review. 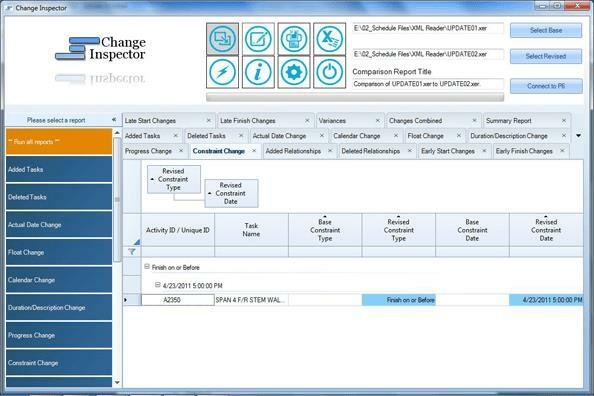 Change Inspector produces reports that enable you to locate the changes between two schedules. This is another tool that is optimized to open projects created in Asta Power Project, Oracle Primavera, EasyPlan, and Microsoft Project. It is compatible with certain formats of these software products. It enables you to view, navigate and print out project plans. Unfortunately, you cannot make any changes or updates. Asta Project Viewer enables you to view, navigate and print out project plans. Each of the tools offers some features that some find crucial and others not so important in their daily activities. What is your experience so far? Have you used any tool for Primavera P6 or any other similar software? If not, which one seems most appealing and suitable for you? DISCLAIMER: The views and opinions expressed in this article are minealone. All the information shared in the article reflects my personal point of view. I did not receive any financial compensation in writing this article, nor do I own any shares in the mentioned companies.